Methodologies which attempt to measure the biodiversity value of land are understandably controversial; biodiversity doesn’t represent a precise and measurable scientific concept, and so is not objectively quantifiable. Despite this, providing businesses with a method to measure and communicate their biodiversity performance is vital for creating an incentive for the corporate sector to mitigate negative impacts and manage areas in a biodiversity positive manner. The Normative Biodiversity Metric concept has been developed by Ecometrica for this reason: to provide organisations with a method to assess their biodiversity performance and present this biodiversity information to stakeholders. 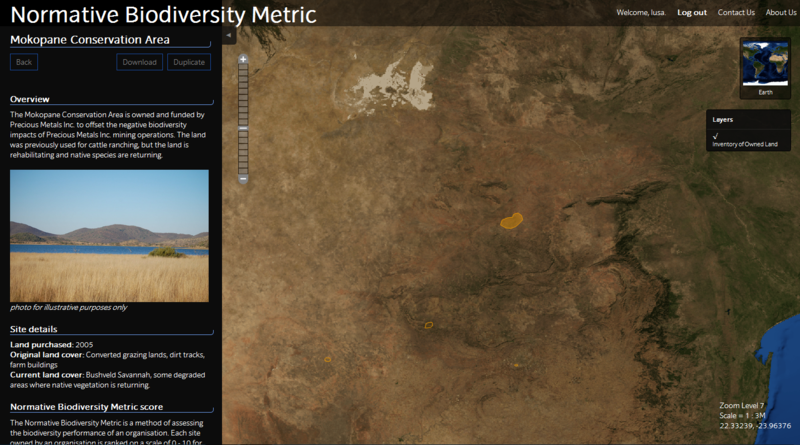 The Normative Biodiversity Metric methodology assesses the land a company owns with a measure of ecosystem pristineness combined with a measure of endangered species presence. These variables give each piece of land a score. Businesses report on changes of the biodiversity score on their owned land annually. Please see the recently published paper Update and Guidance on Ecometrica’s Normative Biodiversity Metric Methodology for more detailed information on the approach. 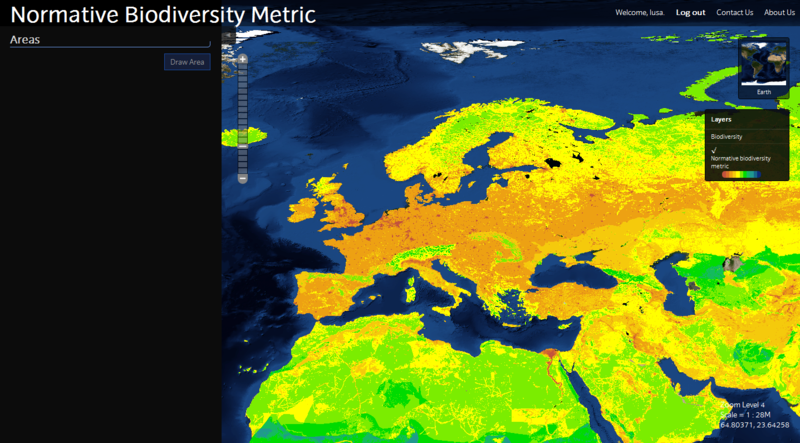 To illustrate this biodiversity accounting process, we have recently finished working on a global ‘normative biodiversity metric’ map. This map gives an approximate indication of the biodiversity significance of different areas based on the NBM methodology, combining species data with pristineness data. The map is available at nbm.ourecosystem.com and is displayed on a simplified version of Ecometrica’s Our Ecosystem interactive mapping platform. Our Ecosystem is a powerful web-based mapping platform which is used for measuring, reporting and sharing environmental data. The site contains a worked example of the Normative Biodiversity Metric for a fictitious company, Precious Metals Inc. to demonstrate the process. The map layers “Inventory of owned land” and “Potential mine/conservation sites” contain company specific information on sites owned by Precious Metals Inc. This application of Our Ecosystem also allows users to draw an area of interest anywhere in the world and query the NBM score of this area.